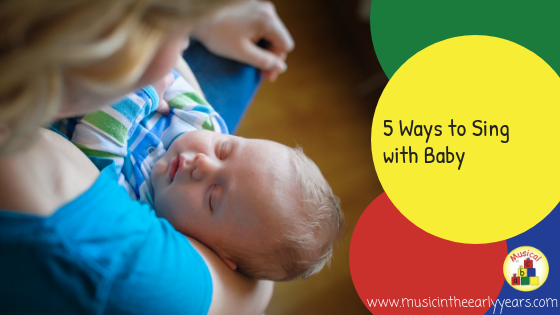 These are songs and rhymes where the baby will just listen to you sing with or without a prop. They may be in your arms, lying, or sitting in front of you. 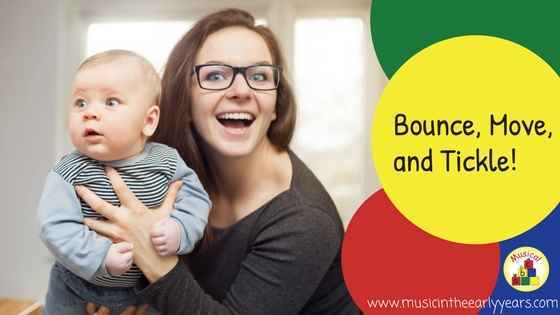 Baby music doesn’t need to be at a specific time but ideally, there needs to be some music in every baby’s day. 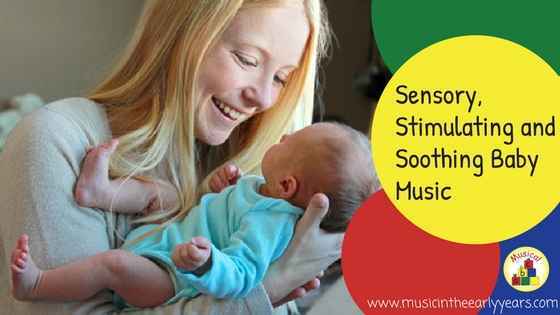 It might be singing a lullaby to sooth them before sleep; tickling their hands or feet to stimulate them during a nursery rhyme; or listening to music whilst watching bubbles float in front of them. Music can be used at various times during a day to stimulate and soothe, and to develop the senses. 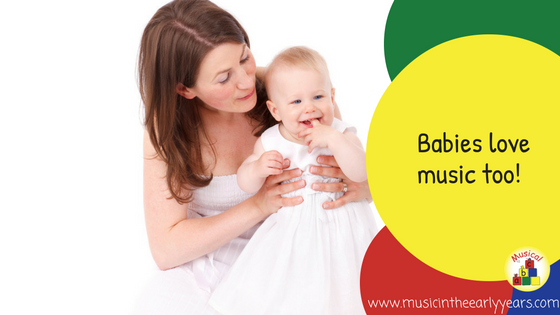 Have you ever noticed how we instinctively communicate with babies in a ‘sing-song’ way? Several studies have shown that babies respond more to a singing voice, than to a normal talking voice.